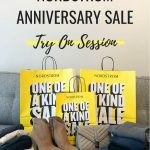 The Nordstrom Anniversary Sale ends Sunday, so this is your last weekend to save on some awesome fall wardrobe pieces before the prices go up on Monday. 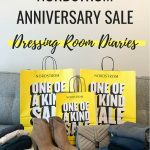 This sale is massive, so I wanted to share a few more fun finds from the sale to help you find the best deals, hottest items, and the most versatile pieces. I figured this time I would break it up a little instead of one giant paragraph like last time. For shoes, these Tory Burch boots are a steal!! Yes, they are still super expensive, but they are almost $180 off! The only time I ever really see these on sale are the Nordstrom sale and end of season sales. Downside to waiting until end of season on these, most sizes are sold out! 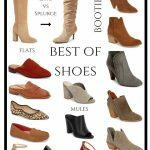 Another hot shoe item again this year is a light brown or taupe bootie. These work great with dresses and paired with jeans. This pair is currently under $100! If you want a versatile shoe, a black peep toe pump is exactly what you need. They look great with pants and all types of skirts. This pair is currently $55 off! The best deal in jackets is pretty much any of the leather jackets. Make sure to read the descriptions because some are not full leather. The one I linked has suede on the collar which I think makes it a little different. Prices for leather jackets will still be about the same after winter as in this sale, so you may not save too much by waiting. This jacket also comes in black. Capes are back this season! I like a cape that has more of a jacket fit with a cape look. This one does just that and is under $100! If you are looking for a versatile piece you can wear for years, look no further than a double-breasted trench coat. You can wear this over your work clothes or over jeans and a sweater. This jacket has been in style for years and will be for many more to come! Diane Von Furstenberg wrap dresses are iconic, and this gem is $130 off!! Luxury and designer brands are a great deal in a sale like this. The price tag is still high, but the discount is much deeper than the less expensive options. This striped sweater dress from Topshop could be both a hot item and versatile. Stripes are only growing in popularity. This dress can be worn with flats or boots, and can be layered with jackets. If you are looking for a verstatile work dress invest in a fit and flare dress. This one comes in both blue and black. A dress like this can easily go from work to happy hour, and work for events like weddings, date nights, or the theater. Cashmere on sale!! I mean much like with luxury brands, luxury fabrics are another high ticket item that can be a steal in a sale. I love the dark teal color of this one. It will work with both brown and black. Tunics are a hot item this season! Boots and leggings will be seen everywhere this fall and winter, so a few tunics in your closet are a must! Again, I’m loving this color!! I love the versatility in this cardigan. You can toss this on with a tee and jeans or over a dress. The black and white stripe also makes it work with all colors. Leather is another luxury material that you should buy now while on sale. I love the idea of pairing this skirt with boots or heels. You can also throw an oversized sweater or tuck a button up with it. Short and pleated skirts are another hot item. Oversized sweaters and boots, fitted top with pumps, or booties and a tee and cardigan. It might be trendy, but it has lots of options. 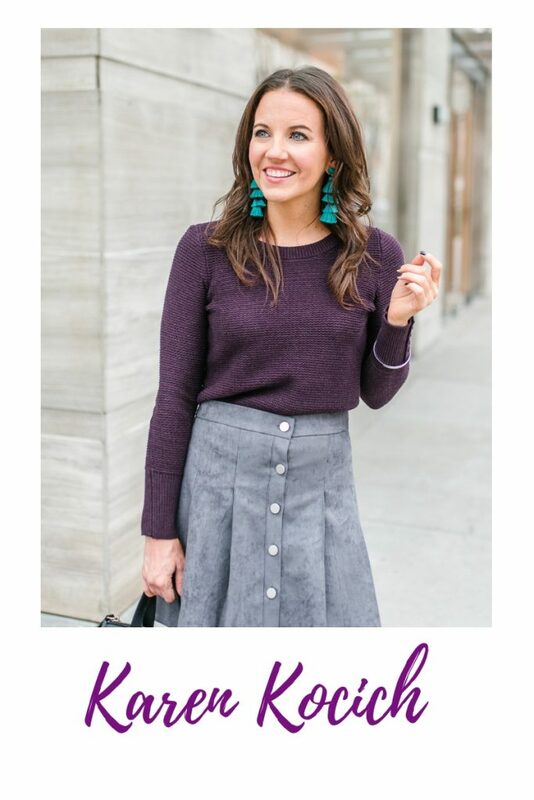 I can not get enough of this gray skirt, I’m really considering buying this one! I love wearing heeled boots with long skirts! This outfit would look great with a white button down. You can also wear heels and a leather jacket for another outfit combo. I grew up in Texas, so when winter sets in I go into hibernation mode! Loungewear is a must for me! Robes are the perfect just out of the shower winter item. They are also great to lounge around in in the mornings while getting ready. I love long nightshirts paired with leggings. I also really love the saying on this one!! Pajama pants are another lounge must have!! Perfect to toss on with a sweater or tee or wear under your robe. I love my Marc Jacobs bag. I have had it for several years, and it still looks good as new. This bag is marked down $140 and comes in black and beige too. The hottest purse style right now is bucket bags. Rebecca Minkoff makes this gorgeous one that also comes in brown and beige. If you need a versatile bag, my pick as a cute crossbody. Perfect to carry on weekends to go from errand running to evenings out. I hope these little snippets help you navigate the sale a little better. 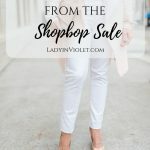 You can also check out my last post HERE to see what items I already purchased from the sale and some tips to shop without breaking the bank. Happy Shopping!! I keep trying to tell myself that I don’t need to order anything else, but your post is making it hard! lol! I so want to pick up another jacket, but I don’t need one! Decisions, decisions!